It works on strengthening your rotator cuff region in your shoulder. It is best to grab a comfortable weight (less weight is better) that you can hold out fully extended and make small forward and backward circular motions. It is not a race and each circle should be completed at the same pace. Be sure to compliment the forward numbers with the reverse to get a balanced workout. If you are looking for more of these types of movements because you have had or are currently working through shoulder issues, look at the bottom of the page for some more ideas. 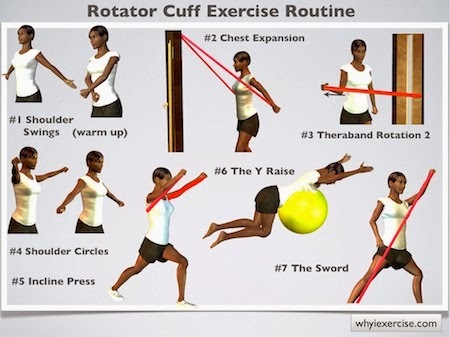 There are tons of ways to strengthen your rotator cuff and it is good to do a variety of exercises to evenly develop the weakness and or for preventative means. Regular maintenence will keep you climbing injury free for a long time so don’t wait until you are injured. Start doing these at least once a week!